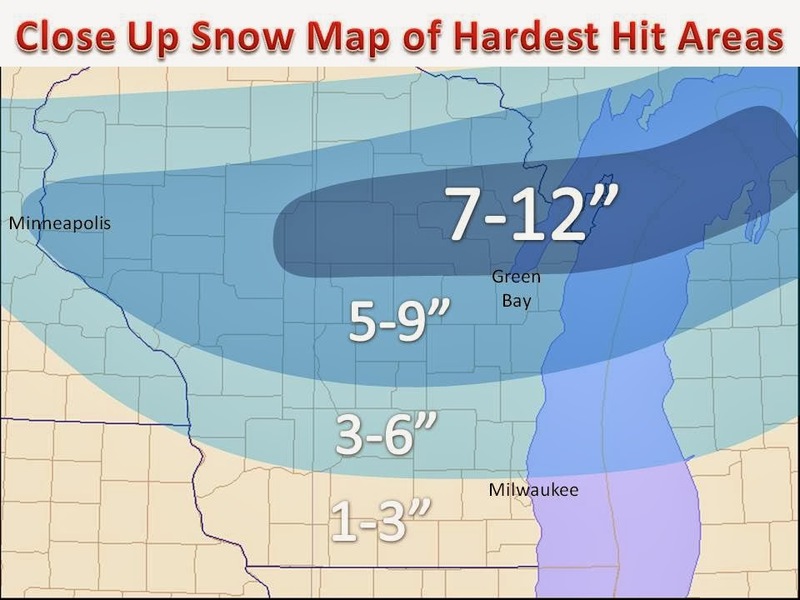 On going Winter Storm in Wisconsin and points east. Here is a close up of TOTAL snow accumulation by Wednesday morning. Notice the band of 7"+ in North Central Wisconsin. It has been been snowing there all day, and will continue into the evening. 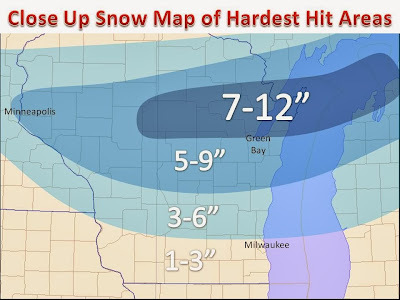 Others who saw a lull in the action will see deteriorating conditions as the main deformation zone of heavy snow develops and moves through, 2-5" of additional accumulation in most eastern Wisconsin and into Michigan.